If any event brought out the truth in the old Delta ad slogan, "we love to fly and it shows," it was the final day of the 747 Farewell Tour from Atlanta to Minneapolis/St. Paul. Of the 320 aboard, everyone had a story or observation about the iconic aircraft fondly nicknamed "The Whale." Pilots remembered the small-group camaraderie of 747 aviators and the hair-raising challenge of the old "checkerboard" landing approach at Hong Kong's Kai Tak airport. Flight attendants reminisced about transporting refugee families from Vietnam and Thailand, and long, adventurous trips to Asia. Mechanics recalled the "firsts" the aircraft brought to the line. Still others recalled how well the rugged beast withstood tough conditions, including an unfortunate encounter with a hailstorm that left the aircraft in significant need of repair but every passenger safe. On Wednesday the mood at the gate and aboard was upbeat and celebratory, with passengers swapping stories, telling the tales over the intercom, participating in a champagne toast, and answering trivia questions: "Yes, there really are 171 miles of wiring inside each aircraft." "Look around here today," said Joe Kannapell, a recently retired 747 captain, seated next to his daughter in row 52. "Look at the smiles this airplane puts on people's faces, knowing this is the last flight. People just don't react to any other airplane like they react to this one. When I'd go to the airplane in Hawaii all the Japanese tourists would follow me. They don't want to photograph anything else." 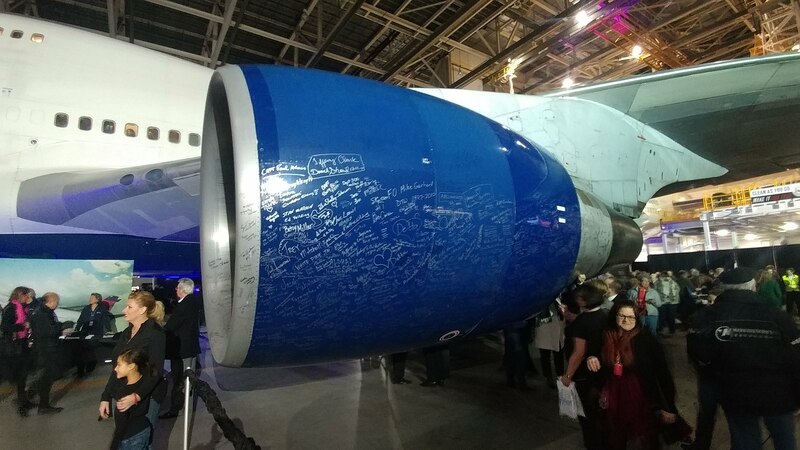 "This has always been a special airplane," said Christine L'Allier, a Detroit-based flight attendant and volunteer with The Airloom Project, which is dedicated to preserving the 747 at the Delta Flight Museum. "Nothing else looks like it, with this majestic, almost snooty nose looking down at you. Even Concorde didn't have the majesty this has — and I've been on that." 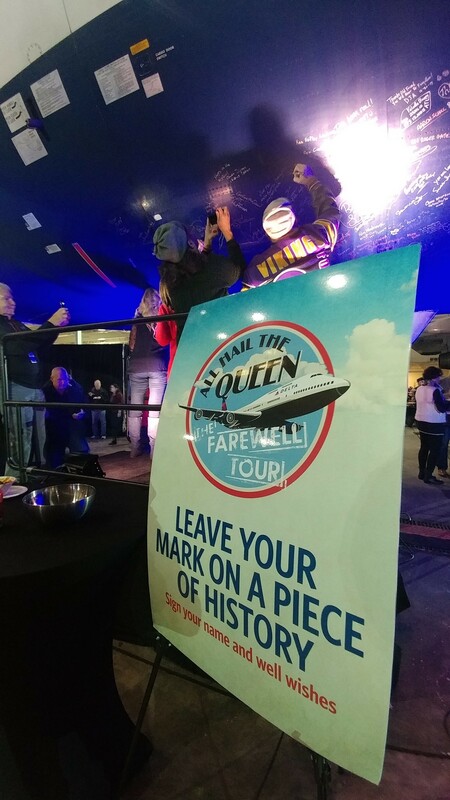 Many passengers aboard this special flight represented the life of this remarkable aircraft coming full circle. Capt. Paul Gallaher, 747 Lead Line Check Pilot, recalled taking delivery of the first 747-400 from Boeing in 1989, flying touch-and-goes in Fargo, N.D., and taking other training flights before the plane entered revenue service. Kristi Chapman, a retired Detroit-based flight attendant, wore the Northwest Orient uniform shirt belonging to Robert Johnson, her late father, who was hired in 1963. Then she added her red Northwest cardigan, accented with the pin her father received. 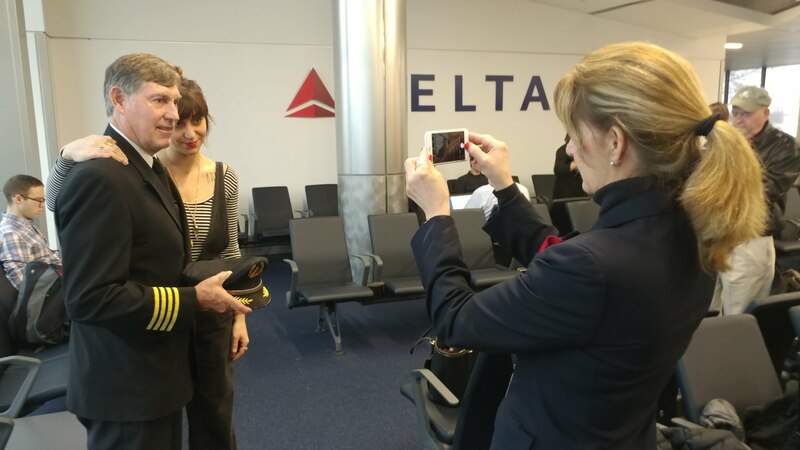 "He actually flew on the inaugural flight of the 747, the day Northwest took delivery of it," said Chapman, one of five family members who racked up 101 combined years of Northwest and Delta service. "I'm here in his honor. I wanted to complete the circle." Because of the 747's legacy at Northwest, it was a popular attraction for MSP employees. More than 1,300 stood patiently in an outdoor line for as long as 15 minutes to enter the hangar — a crowd more than twice as large as at any other tour stop. It may have been 19 F but, "for Minnesota it's not that cold," said David Rossing, an Aviation Maintenance Technician in MSP who followed up the entrance line by waiting more than an hour to get aboard for a glimpse. The Queen of the Skies arrived in the Twin Cities in style, circling the city at low altitude and then performing a low-altitude "missed approach" fly-by at MSP — both pre-authorized by the FAA — before circling back to land. As Chief Line Pilot Capt. Steve Hanlon said to passengers in pre-flight gate briefing, "Don't be alarmed — it's all part of the show." After a long day of celebrating in MSP, the farewell tour ended with a quiet flight back to Atlanta, punctuated by a perfectly smooth landing. With her commemorations completed, the Queen will enter charter service for a few weeks to ferry a few lucky football teams. Then, on Jan. 3 it will mark its official retirement by flying to the desert boneyard — Hanlon in the captain's seat and Gallaher as first officer. For Gallaher that flight will be significant for more than one reason — it will be his last before FAA-mandated retirement at age 65. Speaking to those assembled at MSP — and likely speaking for them as well, he remarked, "this is bittersweet for me."